Full of energy and creativity, Kelly is always making plans to support and celebrate her loved ones. People are instantly drawn to her friendliness. Kelly worked in fashion retail before starting a family. Now that daughter Kasey is in college, she is working parttime at Brighton Collectibles. 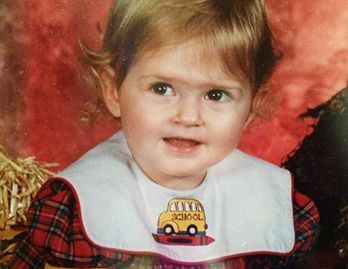 This last portrait of Kloey arrived 12 days after her tragic accident. She remains a happy presence in the Wickens' home. 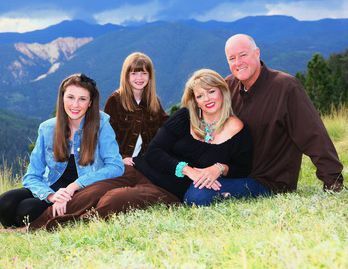 (Left to right) Kasey, Kerby, Kelly and Jim vacation in New Mexico. A close family with deep faith, they live life forward every day. Kasey and Kerby at a Baylor game. To help needy students, Kelly joined the San Antonio Baylor Women's League to raise funds for scholarships. Students at Winston Churchill High School in San Antonio are rushing across campus when they hear Julie Andrews' unmistakable voice sing the opening notes to “Do Re Mi.” It is terribly cold, the day before a huge snow storm in February 2011, but a couple of kids stop to dance to the tune. Then a few more kids join in, and it becomes clear that a flash mob is taking place. Soon a crowd forms to watch the performance, staged by the school’s theater group. In a building high above the scene, Kelly Wickens is filming the event. She is a booster of the theater group that her daughter, Kasey, joined the previous year as a freshman. They create the flash mob to publicize an upcoming production of The Sound of Music. As Kelly focuses on Kasey, her eight-year-old daughter, Kerby, is by her side, happily dancing along. Kelly takes in the fun moment, one that hardly seemed possible a decade earlier. In November 2000, everything is going as planned in Kelly’s life. She has graduated from Texas Tech, gotten married to Jim Wickens, a wonderful, supportive man, worked in fashion retail until she gave birth to Kasey and now has a second daughter, Kloey, who is 21 months old. She leads a comfortable life as a wife and mother, devoting herself to making a happy home. On the evening of November 12, she is browsing a catalog for Christmas gifts while baking a chicken for dinner. In the living room, Jim is playing Twister with then-five-year-old Kasey and a friend of hers. Warmth and laughter permeate the house as Kloey runs into the front entry and swings from a table that has occupied that space for years. The table consists of a thick glass top on a cement bird bath bowl that sits on a pedestal. In the kitchen, Kelly hears a loud crash. She runs into the entry way to find Kloey pinned under the bird bath bowl. Somehow she must have pulled the bowl over on top of herself. In an instant, Kelly tosses the bowl aside, and Kloey doesn’t seem seriously hurt. Yet by the look in her eyes and her silence, Kelly knows something is terribly wrong. She calls 911 while Jim holds Kloey, feeling her slip away. An ambulance quickly arrives to take her to an air-life helicopter for transport to the university hospital. Jim rides in the ambulance and Kelly is driven by car to the hospital. Soon after they arrive, they are given the most horrific, unfathomable news that parents can hear: Kloey is gone. For the next several hours, Kelly holds the body of her precious child, unable to comprehend how this turn of events could have happened. Her carefully planned life has been shattered. Kelly helped to record a flash mob staged to promote Kasey's high school production of The Sound of Music. Most families don’t survive such a tragedy. A grief counselor tells Kelly and Jim that 70 percent of marriages fall apart after a child dies. The Wickenses are determined to be in the other 30 percent. With a strong faith and now an acute awareness that life doesn’t always turn out as planned, they set about finding a way forward. The week before the accident, Kelly had gotten portraits of the girls taken at a photography studio. Twelve days after Kloey died, the prints arrive. Looking at the last beautiful portrait of Kloey, Kelly decides that their daughter would always have a happy presence in their home. Kelly and Jim also determine to try to have another baby. Time is of the essence, since Kelly is almost 40 at the time. Both of their prior pregnancies required in-vitro fertilization, and they once again need IVF for their third child. Daughter Kerby originally had the same due date as Kloey, but is born a few days earlier in 2003. It takes four years before Kelly can talk about Kloey with ease. In 2007, she writes a book about how this “defining moment” deepened her faith and made her aware that “heaven is only a breath away.” She also gives talks to church groups about grief and living life forward while understanding it backward. 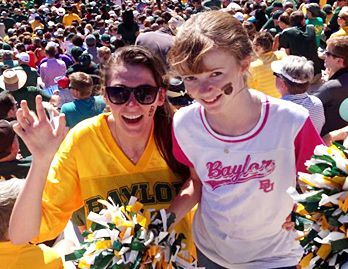 When Kasey starts attending Baylor University in 2014, Kelly realizes that many students struggle to afford the school’s high tuition. She joins the San Antonio Baylor Women’s League to raise funds for scholarships. 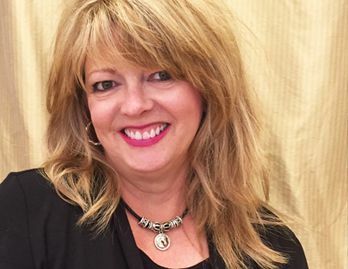 LaDonna Riley, president of SABWL, who has known Kelly since her daughter and Kerby were in kindergarten together, admires her energy and creative spirit. 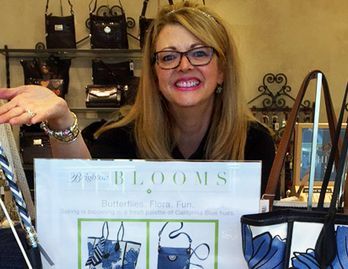 With Kasey in college, Kelly has time to return to her fashion retail roots, taking a part-time position at Brighton Collectibles. She recently organizes a fundraiser for SABWL at the store. She and LaDonna are planning several other events in the next two years. 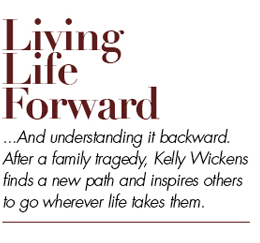 Wherever life may lead, Kelly is prepared to go with serenity and grace. Having lived through a mother’s worst nightmare, she has learned to accept that her journey may take different paths forward. Kerby, born in the shadow of loss, has been a joy and blessing that her family otherwise would not have known.